Alternatives is proud to coordinate the first edition of the Rendez-vous des agricultures montréalaises, which hosts a series of specialized training workshops and exchanges on urban agriculture. This event targets organizations and individuals involved in urban agriculture, Montreal farmers as well as amateur gardeners. For more information on this training program, please visit the French page. We offer a series of different workshops throughout the growing season that cover a wide variety of topics. We strongly encourage you, whether a beginner or expert, to drop by and exchange your thoughts and experiences. A list of all upcoming workshops events will be posted here! Be sure to check out the news feed as well. Please consult the french page to have more information on this training program. Thank you! The Alternatives Ecoleader Program brings young adults together to help develop new urban gardens throughout the Montreal community. The ecoleaders receive multidisciplinary training on everything from basic horticulture to mobilizing partners, and then apply it to oversee the building and maintenance of a garden at a partnering site. 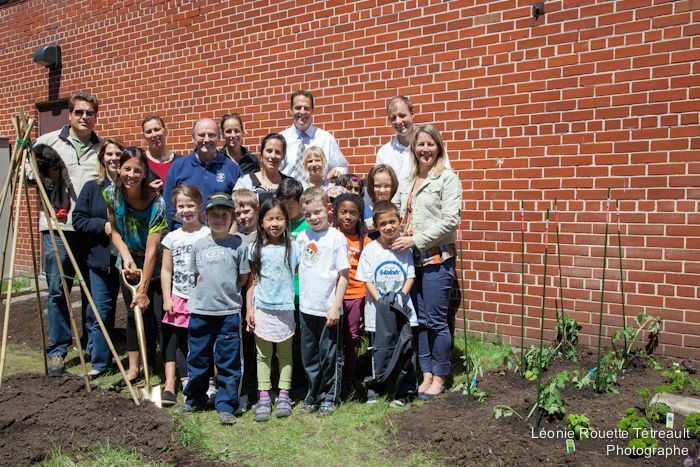 The ecoleaders have spread their knowledge and enthusiasm throughout the city and many Montrealers have gotten their hands dirty as a result. In 2013, the program will focus on Montreal area elementary schools. The training sessions will be offered by Alternatives, the Laboratoire d’agriculture urbaine AU/LAB, and the Institut des sciences de l’envioronnement de l’UQAM. Check out the blog on the Ecoleader website for all the latest news and announcements on the Ecoleader Programme. Thank you for your interest in the Ecoleader Programme. Unfortunately, we are no longer accepting candidates for the 2013 season. Please check back again next year!